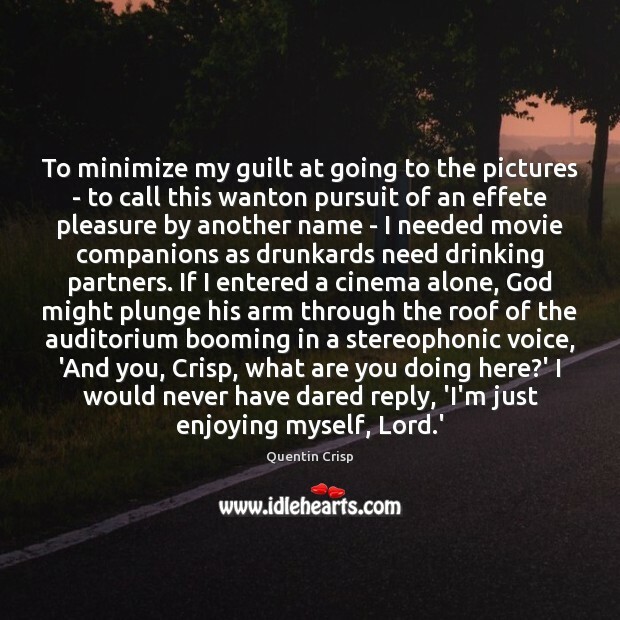 Quotations about Auditoriums. Quotes to stimulate mind and drive action! Use the words and quote images to feed your brain inspiring things daily! 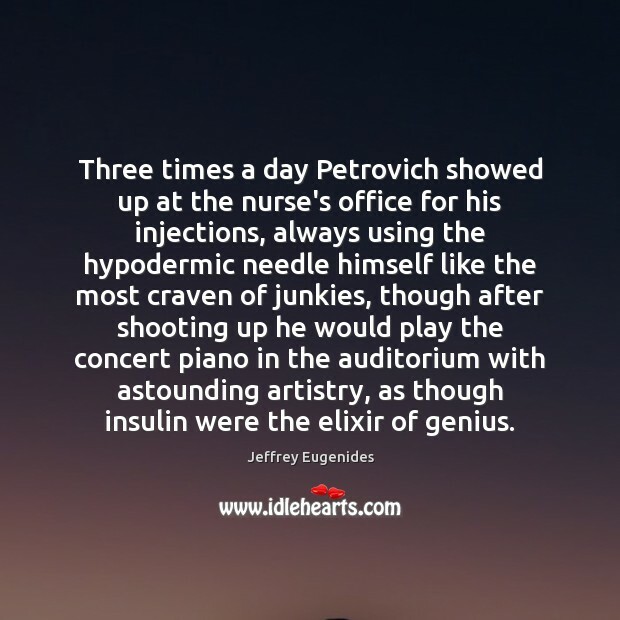 Three times a day Petrovich showed up at the nurse's office for his injections, always using the hypodermic needle himself like the most craven of junkies, though after shooting up he would play the concert piano in the auditorium with astounding artistry, as though insulin were the elixir of genius. Everyone wants to be Cary Grant. 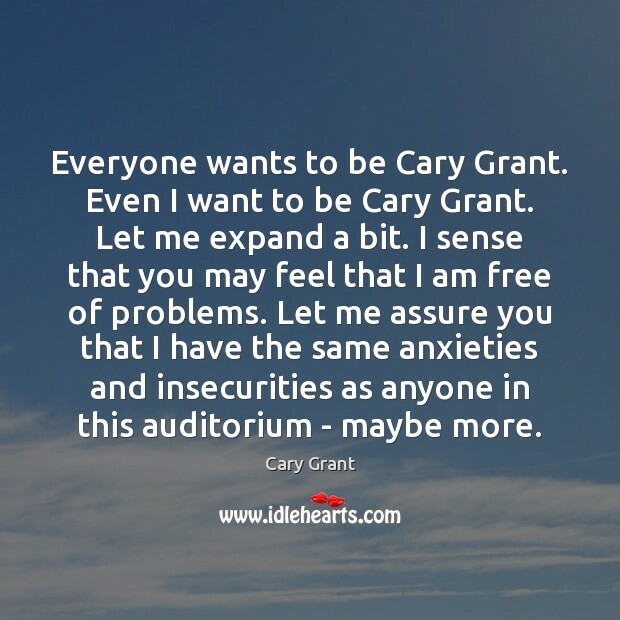 Even I want to be Cary Grant. Let me expand a bit. I sense that you may feel that I am free of problems. Let me assure you that I have the same anxieties and insecurities as anyone in this auditorium - maybe more. 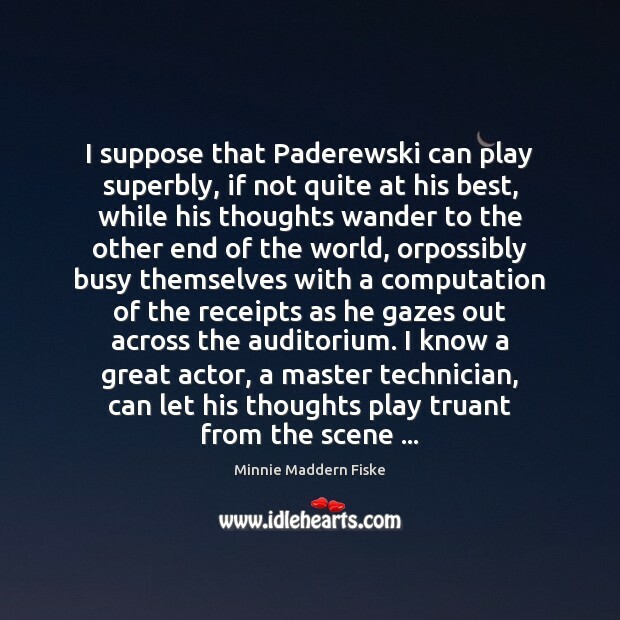 I'm just aware of what I'm thinking and feeling but I do obviously have to get that to the back of the auditorium. 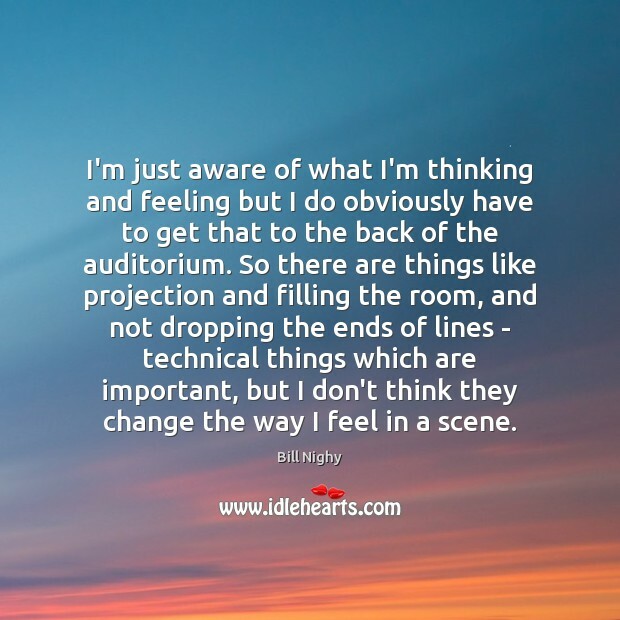 So there are things like projection and filling the room, and not dropping the ends of lines - technical things which are important, but I don't think they change the way I feel in a scene. 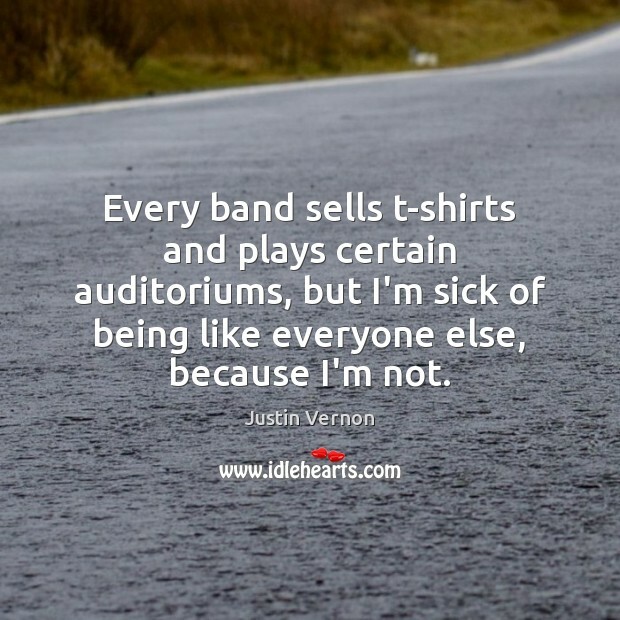 Every band sells t-shirts and plays certain auditoriums, but I'm sick of being like everyone else, because I'm not. 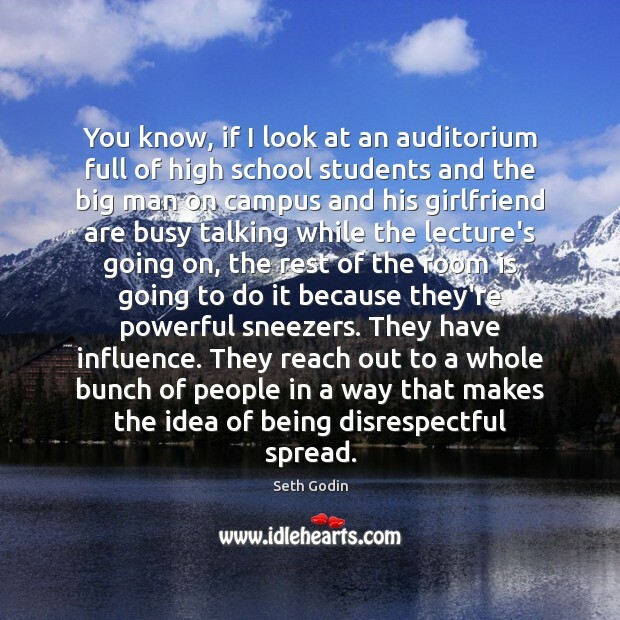 You know, if I look at an auditorium full of high school students and the big man on campus and his girlfriend are busy talking while the lecture's going on, the rest of the room is going to do it because they're powerful sneezers. They have influence. They reach out to a whole bunch of people in a way that makes the idea of being disrespectful spread. If I could make the same amount of money doing standup it would be no contest. 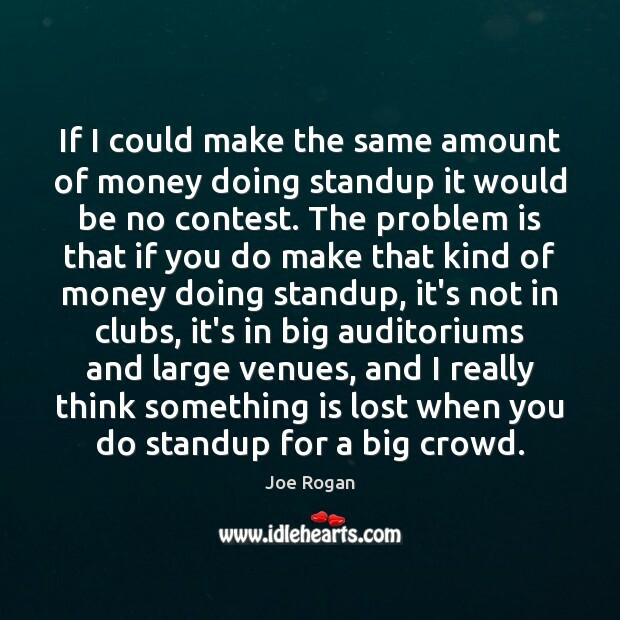 The problem is that if you do make that kind of money doing standup, it's not in clubs, it's in big auditoriums and large venues, and I really think something is lost when you do standup for a big crowd. 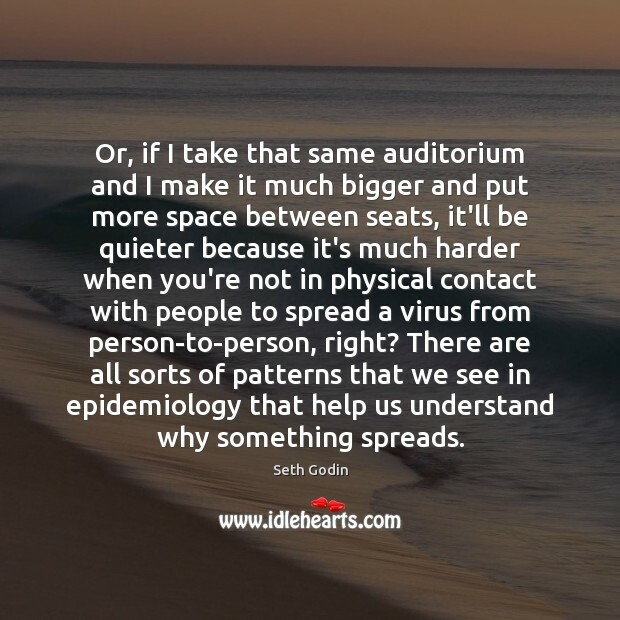 Or, if I take that same auditorium and I make it much bigger and put more space between seats, it'll be quieter because it's much harder when you're not in physical contact with people to spread a virus from person-to-person, right? There are all sorts of patterns that we see in epidemiology that help us understand why something spreads. 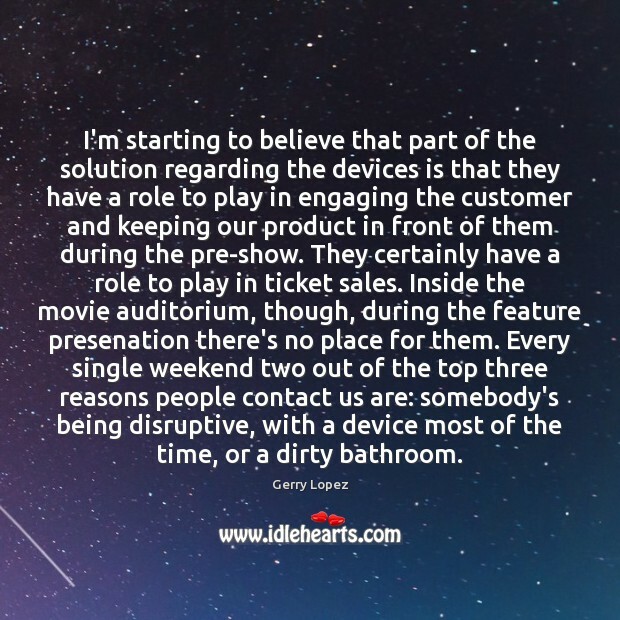 I'm starting to believe that part of the solution regarding the devices is that they have a role to play in engaging the customer and keeping our product in front of them during the pre-show. They certainly have a role to play in ticket sales. Inside the movie auditorium, though, during the feature presenation there's no place for them. Every single weekend two out of the top three reasons people contact us are: somebody's being disruptive, with a device most of the time, or a dirty bathroom. 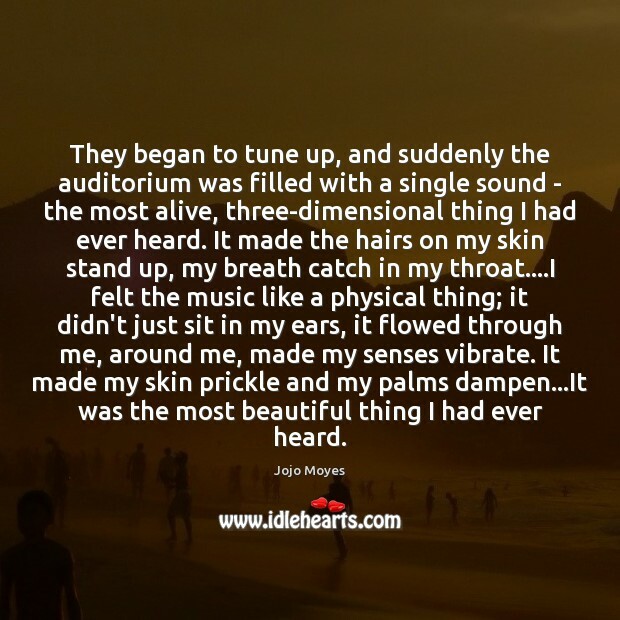 They began to tune up, and suddenly the auditorium was filled with a single sound - the most alive, three-dimensional thing I had ever heard. It made the hairs on my skin stand up, my breath catch in my throat....I felt the music like a physical thing; it didn't just sit in my ears, it flowed through me, around me, made my senses vibrate. It made my skin prickle and my palms dampen...It was the most beautiful thing I had ever heard. 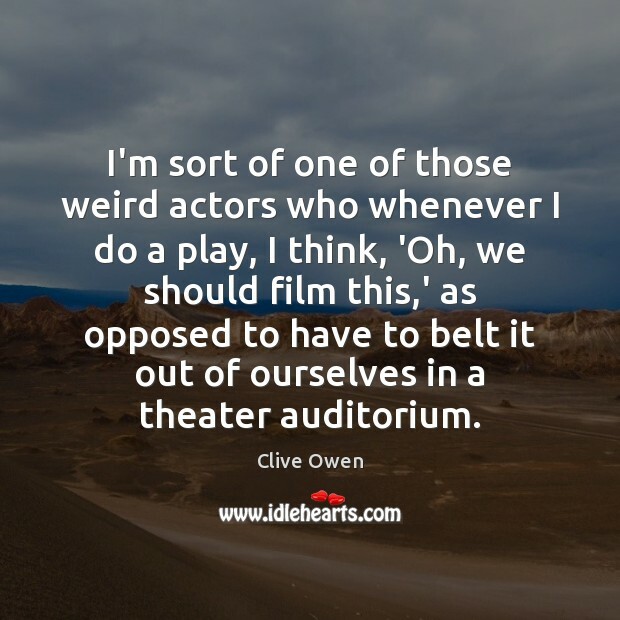 I'm sort of one of those weird actors who whenever I do a play, I think, 'Oh, we should film this,' as opposed to have to belt it out of ourselves in a theater auditorium. 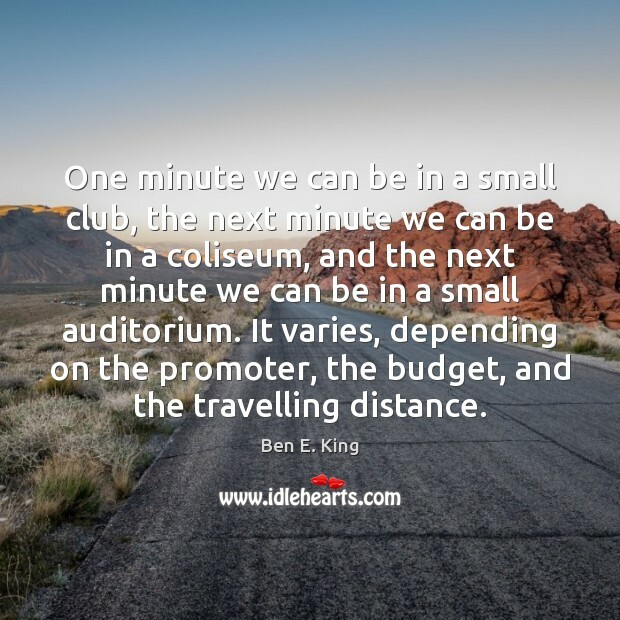 One minute we can be in a small club, the next minute we can be in a coliseum, and the next minute we can be in a small auditorium. It varies, depending on the promoter, the budget, and the travelling distance. Power lies in the details, and the tenacious pursuit of such hidden levers can pay off enormously. While you don't want to get a reputation as a prissy worrywart, worrying about the details in private is important. 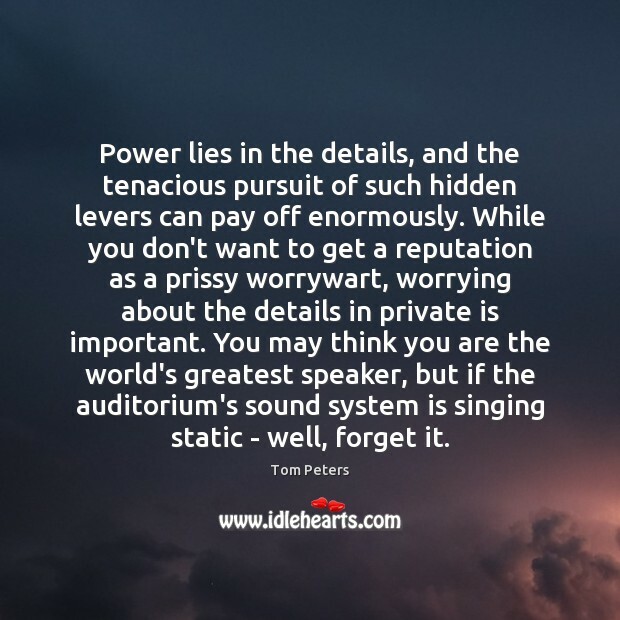 You may think you are the world's greatest speaker, but if the auditorium's sound system is singing static - well, forget it. 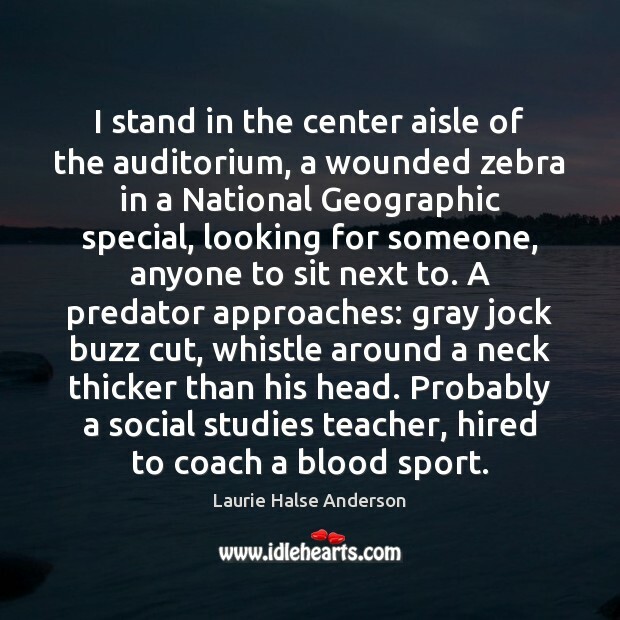 I stand in the center aisle of the auditorium, a wounded zebra in a National Geographic special, looking for someone, anyone to sit next to. A predator approaches: gray jock buzz cut, whistle around a neck thicker than his head. Probably a social studies teacher, hired to coach a blood sport. Charles was most comfortable by himself or, if that wasn't possible, with his pack in the wild. 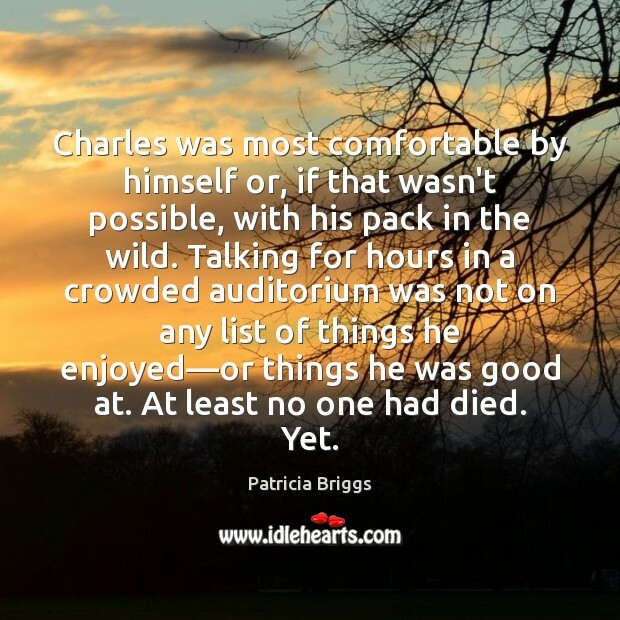 Talking for hours in a crowded auditorium was not on any list of things he enjoyed—or things he was good at. At least no one had died. Yet. We don't believe in splitting the experience. We don't believe in taking a row out and putting in motion seats [that shake and move in response to cues from a film]. 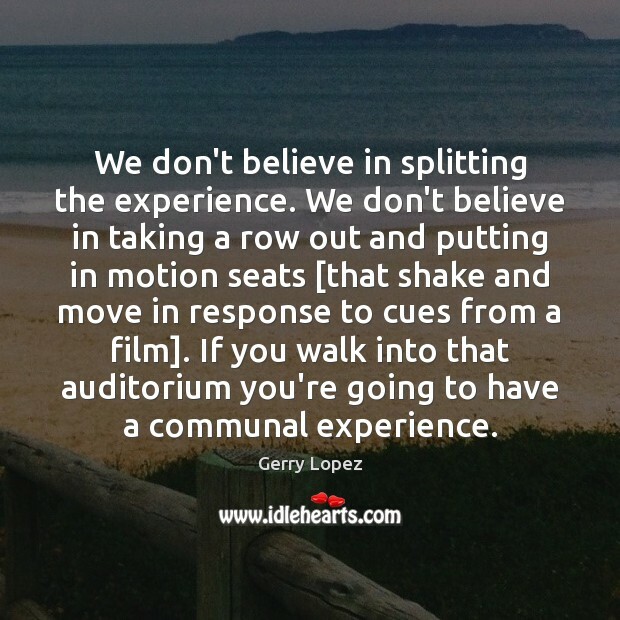 If you walk into that auditorium you're going to have a communal experience.